I live for glimpses of Natalie Massenet on the red carpet and the Net-A-Porter beauty was spotted at the 2012 British Fashion Awards in London. She went bold for the night in a mixed print look, fully equipped with peplum and embellishment from Peter Pilotto’s Spring 2013 Collection. Hot! 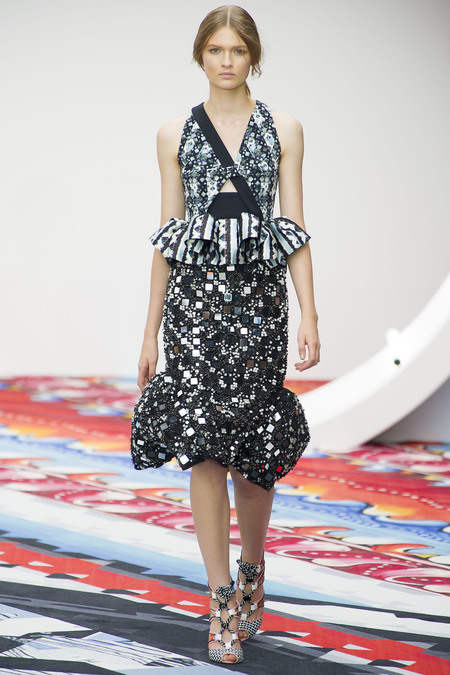 Visit www.peterpilotto.com for more information and see Natalie’s look on the runway, worn by Lara Mullen.